Anthony Pena is a Data Analyst and Certified Klipfolio Expert at Pena Business Data Reporting. His main focus and role is to have a comprehensive understanding of the businesses he works with so he can help highlight KPIs and metrics. Anthony builds custom dashboards to help ensure all of his clients are on track to hit their goals and to help identify areas for improvement. Starting out as a freelancer, Anthony grew his business and now works with clientele as Pena Business Data Reporting. Pena Business Data Reporting specializes in meeting the growing demand to turn large, complicated business data into simple, understandable stories that report on the health of a business and lead to actionable insights. Before Anthony started Pena Business Data Reporting, he worked as a Microbiologist for a biotech startup. In that role, he routinely ran experiments in the lab and needed to quickly communicate the implications of the results to the senior leadership team to keep investors up-to-date with the status the company's soon-to-be product. 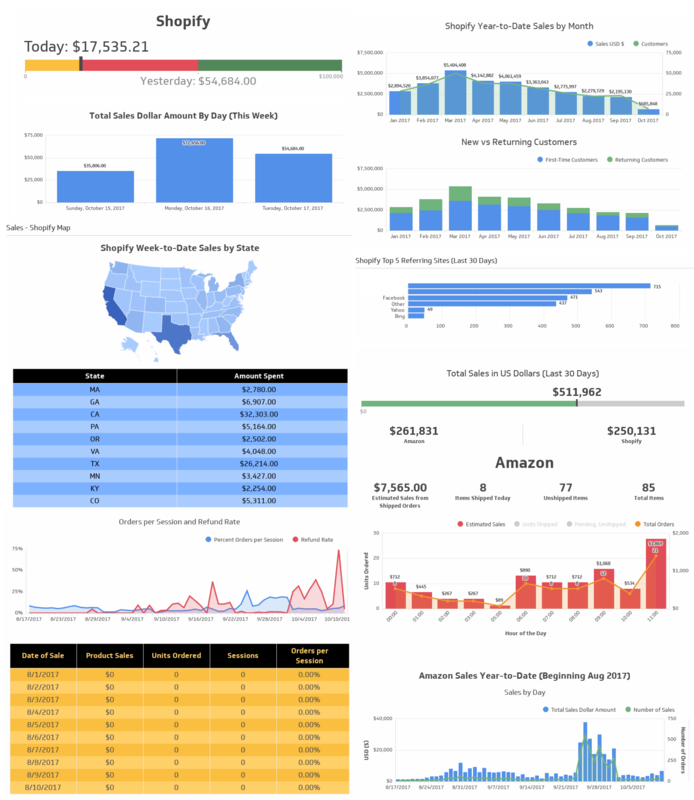 Pena Business Data Reporting develop highly customized dashboards on behalf of their clients who either already know about the benefits of using Klipfolio or are looking for a SaaS platform to report on their business metrics. Pena Business Data Reporting will set their clients up with a Klipfolio account, connect them to virtually any supported API, setup databases when needed, offer custom CSS and HTML styling and build custom dashboards based on each clients needs. When asked how Pena Business Data Reporting celebrates big wins, Anthony answered, “Sleep! Just kidding. I personally enjoy pulling out the grill and enjoying a good craft beer to celebrate.” We couldn’t think of a better way to celebrate!